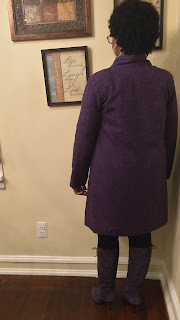 I started this coat (wearable muslin) last year as part of the Amazing Coat Sew Along. In the end I got sick with the flu and was unable to meet the deadline. The coat was done, all that was left to do was to hem the coat, add snaps and large button. The alterations to the pattern was documented in my previous post about the coat. 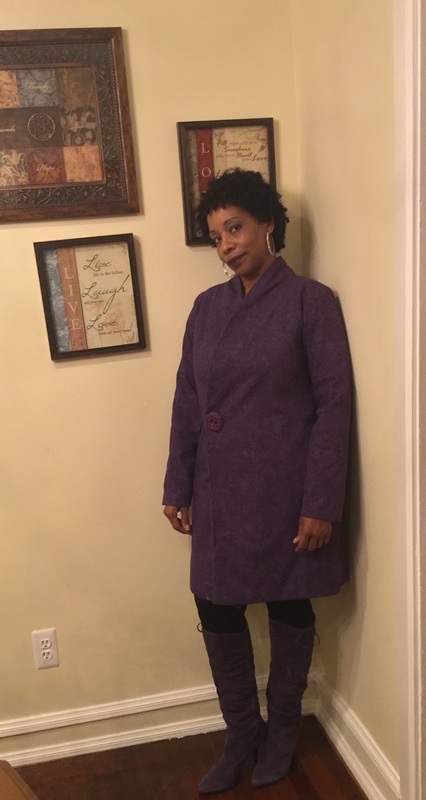 Thanks to my sewing sister I worked on the coat last weekend and completed it. I had to wait for my new photographer (daughter) because the hobby was fired. I did a forward thrust shoulder adjustment, and I did not rotate the sleeves cap. The folds in the sleeves were a result of not rotating the sleeves cap. the biceps need mores ease.The armholes were lowered, as you can see I need to adjust the armholes a bit more. This is a great pattern, I will adjust the pattern because I am planning to make another coat in the near future. 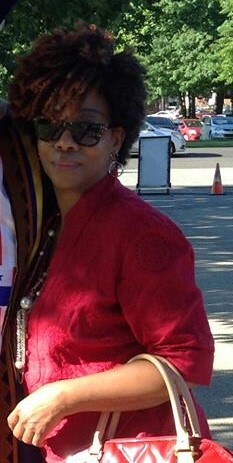 Even though the coat is a test garment (muslin) I am going to wear it until the end of November or maybe the beginning of December, before it gets too cold and believe me I will be rocking this coat next spring. I am so proud of myself for taking this plunge. A big thanks to my sewing sister for encouraging me to make the coat and thank you Erica for doing the sew-a- long. I think it's a very nice coat and the color is very pretty! Lovely coat and looks great on you.